Abbas Ali is, like host Max Patten, a newly-graduated high school student. He's well-educated, intelligent, and not an activist or supporter of stricter of gun laws. He talks about what it's like being on the fence, and his perspective as an average Joe. Shownotes available at audax.xyz/shownotes. Email for feedback at max@audax.xyz. Follow on Twitter @PrayersFM! 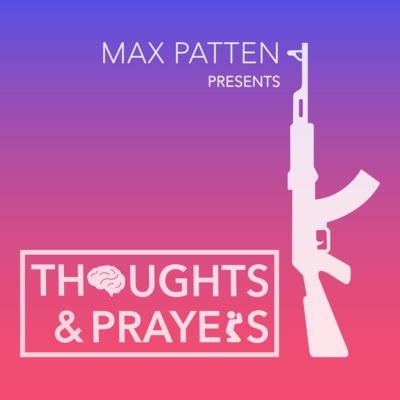 Welcome to the debut episode of Thoughts & Prayers, a podcast about keeping the fight for sensible gun laws in hearts and minds. Barrett Fife talks about her activism in DC, the specific gun legislation she wants to see passed for a safer America, the positive and negative effects of social media for modern activism, and the big deal with voting. Shownotes available at audax.xyz/shownotes. Email for feedback at max@audax.xyz. Follow on Twitter @PrayersFM!